You are here: Home / Note Buyers / Are You Positive? If you have been sitting on the sidelines, waiting for an opportunity to jump back in the real estate or note investing game, you need to read this. I am not saying we have come full circle to the golden years of real estate and note buying, but I don’t need them to the that good…I just need them to be profitable. Very profitable. So, why now? Just look around. New houses are being built. Now, the last time I checked it was not any cheaper to build a house today than it was seven years ago. Matter of fact, I bet it costs more. You can’t build, and expect to sell those new homes, unless the values have been creeping back up on existing houses. In a lot of areas right now not only have the values gone up…the marketing times to sell a home have gone way, way down. Overall we survived the real estate crash better than most. No, we didn’t have a crystal ball (although anyone with half a brain could see that real estate values were going up too fast). We just stuck to one VERY important rule. When purchasing real estate, the property had to be positive. It HAD to have a positive cash flow. Too many investors were “speculative.” They needed something else to happen for the investment to become positive. They needed the value to go up, rents to go up, taxes to go down…something. Buying on spec is dangerous. I think of it like that musical chairs game. When the music stops everyone bangs into each other trying to get a chair. Those left standing are out of the game. That is how I see real estate investing when things are soaring. At some point, the music is going to stop. If you purchased a property on a positive cash flow (i.e. : you have renters and that income exceeds the expenses) chances are…they still need a place to stay and you still have the money to cover your underlying mortgage. If you purchased a property with a negative cash flow, hoping the value would go up…well…you just lost your chair. It is no secret we love investing in notes. Notes can give you the benefit of a positive cash flow, without owning the property (read investing in real estate vs notes). No real estate taxes to pay. No plumber’s bill. No putting on a new roof. – That’s the homeowner’s problem. That said, there are some really great strategies to buying homes and creating notes. You are only holding the home long enough to sell it using owner carry back financing. You might purchase a property for $60,000 at 4% interest and sell it for $75,000 at 9% interest. I am not going to go into the math (you can take How to Calculate Cash Flow for that mouth-watering investment return), but you get the idea it is good. Now is the time to get in the game. If you don’t have any money for investments, you are going to want to broker some notes and build up some cash. If you have your own money, start looking at buying notes and/or selling houses with owner carry back. 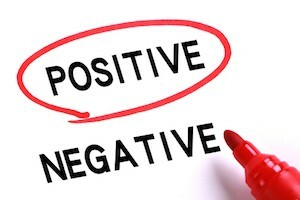 In either case… just stay positive and you should be OK.